1. Maintaining and enhancing existing software. 2. Software development from scratch. Given a choice between the two, developers usually gravitate towards from scratch development. Developing something from scratch is an intensive creative work where you have the freedom to shape the product the way you see fit. Hence, it is pretty obvious why people prefer this. I draw a parallel here with Calvin Ball. For those of you not familiar with Calvin ball, it is a game that Calvin invented where he makes rules on the fly during the game. From scratch development is akin to Calvin Ball, you can create and amend rules on the fly. If you chose a framework and in the course of development you see it does not fit the bill, you have the freedom to swap it with something else. You are operating under a lot of degrees of freedom. Maintaining and enhancing existing software is more like solving a puzzle or playing a game with well laid out rules. Someone has already laid the foundation or in a lot of cases built the entire structure. You first have to expend time and effort in groking this and familiarising yourself with what is already there, only then you will be able to do something. A lot of times you need to get into the mind of the original developer and decipher things from her perspective. Working on code written by others is more like Sherlock Holme’s work. When you do changes and enhancements, you have to ensure what you are doing fits well into the existing framework. You are working in a constrained environment; you have to stick to the rules of the game. All this is as much or sometimes more challenging than developing software from scratch. Debugging is an acquired skill which carries over to all areas of development. When you troubleshoot code written by others, you become more attuned to add enough debugging information in the code you write. You will start empathizing with the person who will maintain your system in the future and ensure that person has enough data points to debug when things go wrong. It might as well happen that that future person is you only. Injecting debugging information and future proofing your project is a fundamental behavioral change that maintenance induces in you. There is nothing wrong in preferring to create something from scratch, but it is imperative to have the second skill set under your belt. The real world requires more of type two work than type one. If from scratch development is all you have done till now, it is high time you challenge yourself with category two work. You will feel a bit frustrated and handcuffed in the beginning, but the way to approach it is like solving a mystery. If you see it that way, it becomes a fun and entertaining experience. 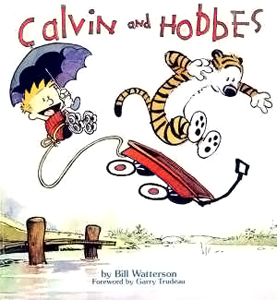 PS: Calvin and Hobbes image taken from Wikipedia.